One of the biggest concerns in the world of EVs is range anxiety. You can have the most efficient, powerful, stylish, and comfortable car in the world, but it’s not much use if it can’t get you where you need to go. Companies like Tesla are committed to the distribution of high-speed superchargers throughout the world, but BMW, who is currently enjoying rising success of the electric i3, has announced plans to expand its own charging network. 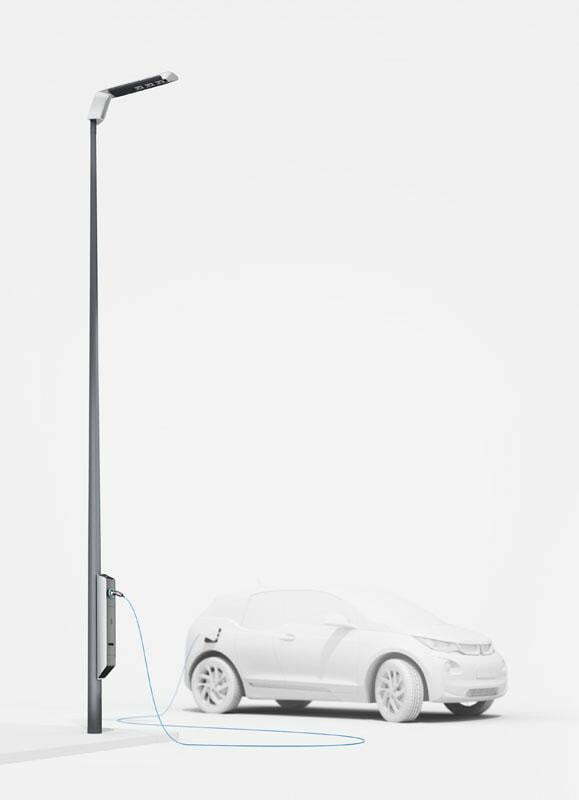 The German brand unveiled the ‘Light & Charge’ prototype at the Eurocities energy conference in Munich last week, which marries street lights and EV charging stations for the sake of anywhere energy and decreased range worry. “Light and Charge is a simple and innovative solution to naturally integrate a reliable network of charging stations in the city,” said Peter Black Bauer, BMW Management Member of the Board. The charging stations, which are planned to replace conventional street lights, use ultra-efficient LEDs and a modular layout. The stations use one or two LEDs to provide a “pleasant light in the side streets and residential areas,” but can switch to the full four to illuminate major roads at night, BMW says. There is also a standardized connector ease of use. This isn’t the first time BMW has looked to integrate EV charging stations into existing infrastructure. In May, the automaker announced a solar charging carport concept that harnesses the sun’s rays in pursuit of a fully charged battery. Used in conjunction with the i Wallbox Pro, the carport can redistribute excess power back into the customer’s home, and it happens to look pretty nice while doing it. The structure is poetically simple, with green construction materials like bamboo and fiber carbon forming an artistic, modern, and practical structure.